Creatures that can hurt us underwater. Caution is advised. 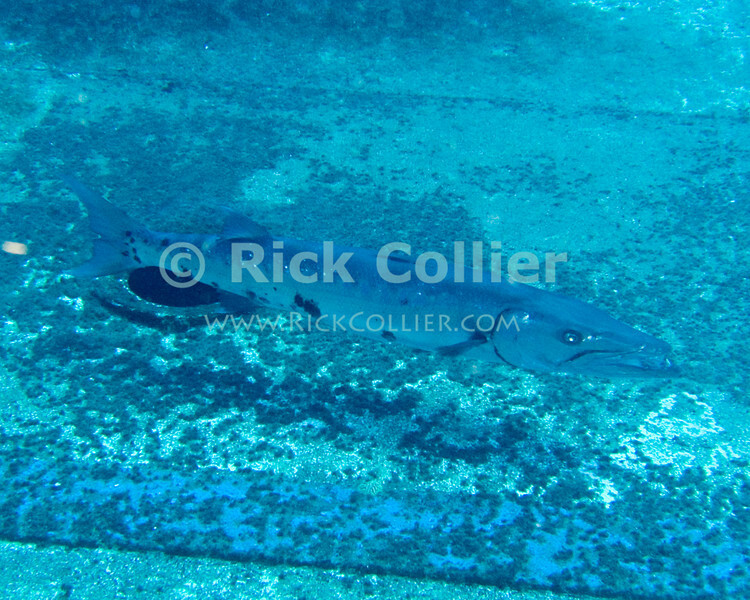 A large barracuda on the wreck of the Charlie Brown, an AT&T cable laying ship sunk as a dive site in 2003. St. Eustatius (Statia), Netherlands Antilles.